Radon is the second leading cause of lung cancer among non-smokers in the U.S. That’s according to the Environmental Protection Agency, who estimates that it causes 21,000 deaths per year. The EPA recommends testing your home every two years. In winter the home is more likely to have ideal testing conditions with windows and doors closed. The EPA recommends closed house conditions for testing regardless of the time of year. 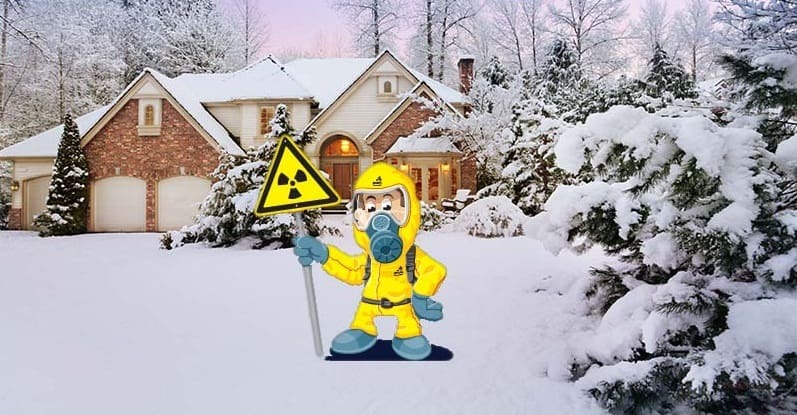 In addition, the radon levels are traditionally their highest in the coldest months and will give you a clear picture of your radon risk. January is also Radon Action Month, so most State health departments will offer a discount on testing kits. Testing your home is the only way to know your exposure levels. Testing can be done by hiring a licensed professional. This is the best way to ensure the most accurate results. Using state of the art equipment they will take multiple air samples over a 48-hour period and can print out your results instantly. This is a much better option for most homeowners because its fast and gives them peace of mind that the test results are correct. Once the test has been performed, and high levels have been identified they can be fixed. A licensed radon mitigation contractor can be hired to install a radon mitigation system in your home. Systems cost less than most home improvement projects and will improved the indoor air quality of your home.